Leading Manufacturer of Cheque Printing software, Inventory and Accounting Software, School / College Mangement software, Hotel Mangement software, Medicalshop Mangement Software and Library Mangement Software from Thiruvananthapuram. No more ugly mistakes or unprofessional smudges / No special printer required! Customize your cheques with the font pack of your choice. 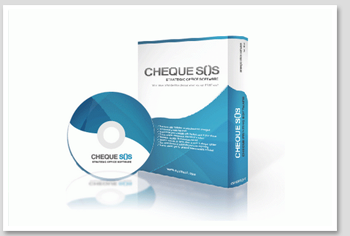 Batch print cheques at the click of a button / Maintain records of all cheques issued. Search records by name, date, amount and cheque number / Set reminders and automate your cheque printing. Handy plastic grid for physical measurements included! This software comes as a full module for the day activities of school/college like school administration, store management, library management etc. The modules cover admission, identity card printing, fees receipt, school bus register, time table, class and class teacher allotment, question bank & question maker, examinations, mark list, promotion, department, course and subject creation, certificate issue, new admission and old admission reports, teachers / employee details, receipt and payment voucher, day book, progress report of each student, subject wise entry and grading student, analysis reports, issue of school/college uniforms or books & stationeries to students etc. Library management is included as a feature. Also general features like administrative module with user administration, back and restore, user security, user activity monitor, multiple companies management, multiple window processing, accounts integrate day book, trial balance, balance sheet, and other reports are included. Limited versions are also available. A perfect solution to manage the daily business activity for any hotels ranging from medium to star hotels. It comprise separate modules for managing front office & restaurant. Front office management module includes features like room type, guest details, reservation, check-in, check-out, receipt room status chart, room transfer, season schemes & discounts, reservation via agents etc. The restaurant management module comes with BOT & KOT processing, restaurant billing, bar billing, godown management, stock transfer, physical stock adjustment, production, store, separate stock category management for raw materials, food beverages etc. Advanced reports & analysis of stock, food costing, purchase, sales, stock with aging analysis, fast moving items, slow moving items, profitable items, tax reports, sales man reports etc. Integrate with the latest VAT purchase and sale modules along with stock management, expiry processing, Integrated inventory and accounting with (Trial balance, profit & loss account, balance sheet, day book etc.). Payment and receipt module, debit and credit note modules, report on sales, purchase, stock & stack expiry. Other modules include biz search, easy opening stock entry interface, easy backup and restore features, user security, user activity monitor, multiple companies management, multiple user, multiple window processing etc. For library software library books are categorized to author, publisher, department etc. Other feature include book stock keeping, book purchase, book issue, book return, book damage settlement, book label printing, periodicals management, issue slip printing, return slip printing, book search (title, author, publisher etc), exporting of data to excel, multi user, multiple window processing, user security, user activity monitor, user administration etc. Product is available in windows and linux versions. Jewellery shop management software has purchase, sale & estimate of jewellery (gold, silver), purity categorization, item transfer etc. it also covers integrated purchase of old gold with sale, value addition, stone weight, sales on current market rates, transaction with goldsmith, physical stock adjustments. Fast billing formats, VAT & other tax reports available. Other feature include integrated accounts, user activity monitor, easy backup & restore, multiple window processing etc. Single user or multi user options are available. Ideal solution for managing the entire hospital with administration, payroll, pharmacy and accounting modules integrated. General features include front office, inpatient & outpatient registration, EMR (Electronic Medical Record of patients), department wise OP management, patient status finder, room status chart, admission and discharge, insurance claim, ward & doctor wise patient records, lab test, lab result, room billing, pharmacy IP & OP billing, medicine purchase and issue to various wards, ward wise stock reports of medicine, medicine expiry control, payroll and pharmacy features included. Also general features like administrative module with user administration, backup and restore, activity monitor, multiple company management, multiple window processing, integrated inventory & accounts, daybook, trial balance, balance sheet, and other reports are available. Customized for payroll management system with pay slip, pay schemes, attendance register, custom formula, salary calculation, movement register, wages calculation, job card, user defined allowances & deductions etc.